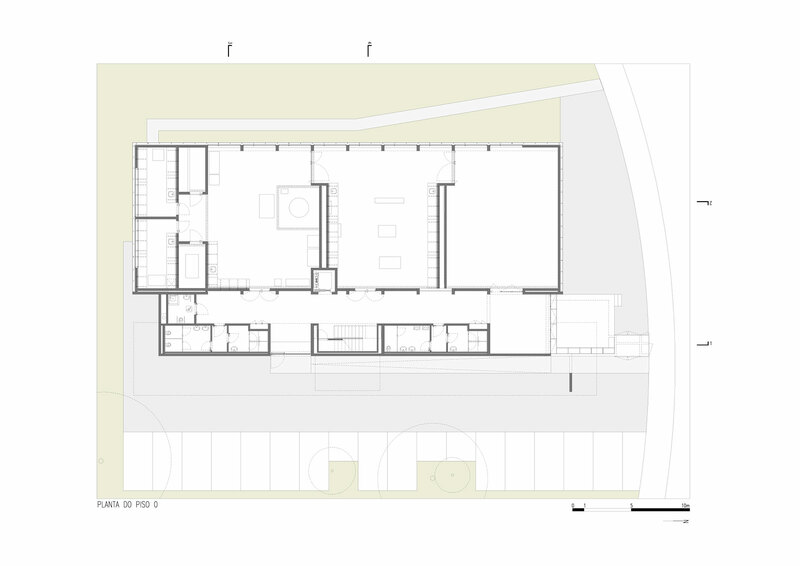 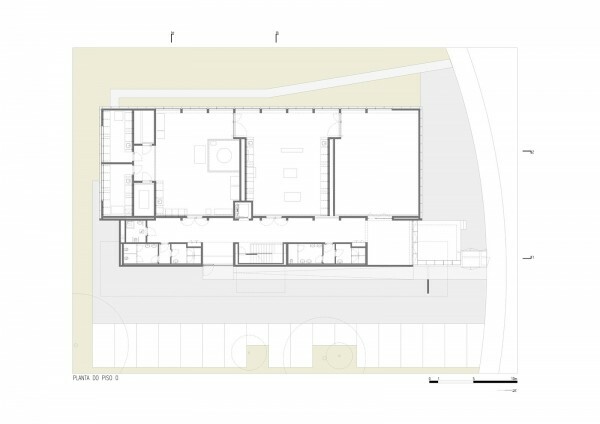 The programme is divided into two distinct areas corresponding to its functional characterisation, placing the laboratories in a two-floor block, and distributing the remainder of the programme on these two levels, with the toilets on level 1 and the administrative area and research offices on level 2. 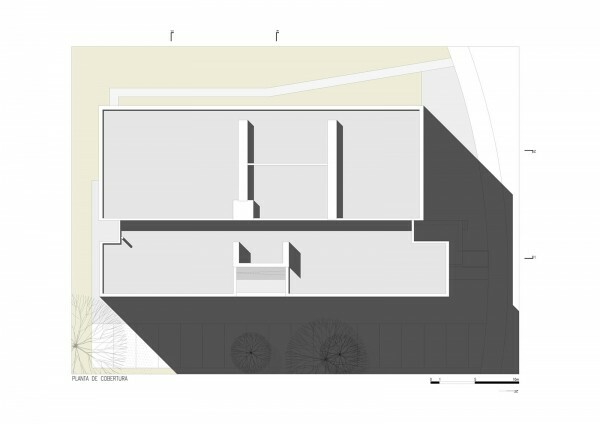 This option, which translate into autonomous volumes, and significant for this programmatic component, is central to how the building is composed. 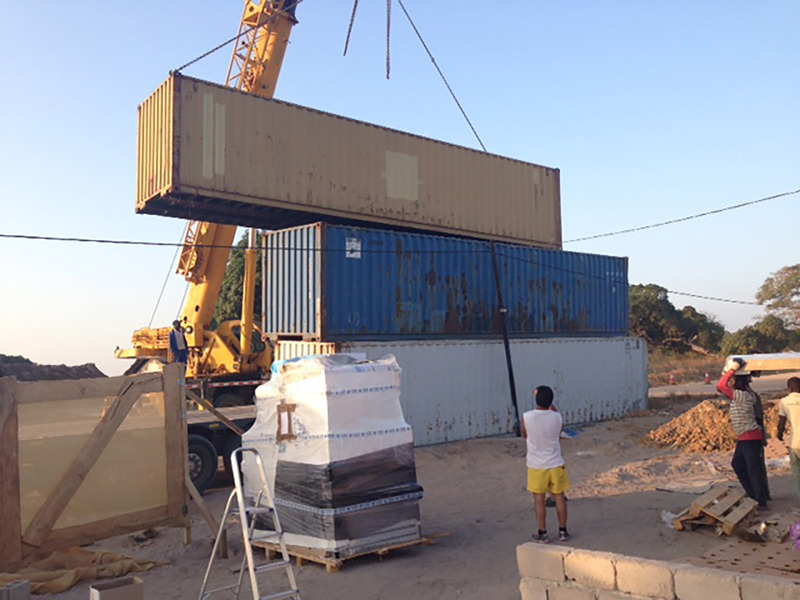 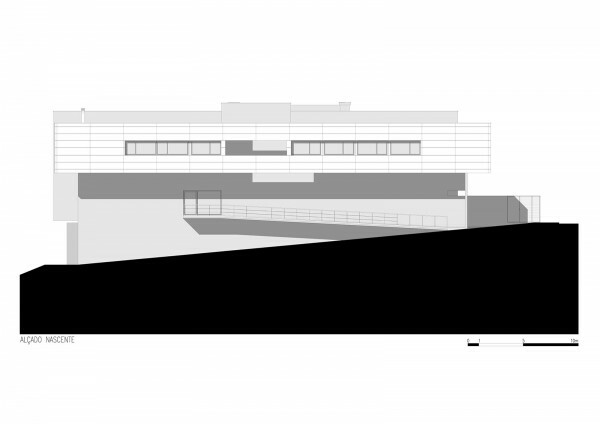 Car access, and the configuration and orientation of the proposed building on the campus plans also determined the following choices, which were particularly significant, and were based on principles of constructive management, conservation and durability. 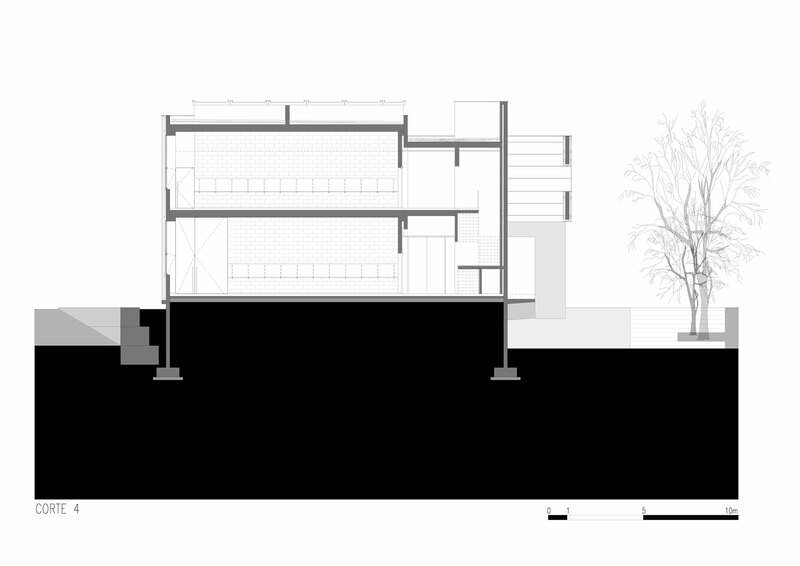 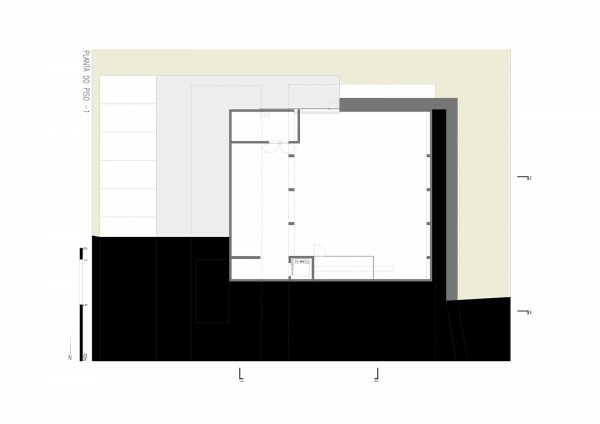 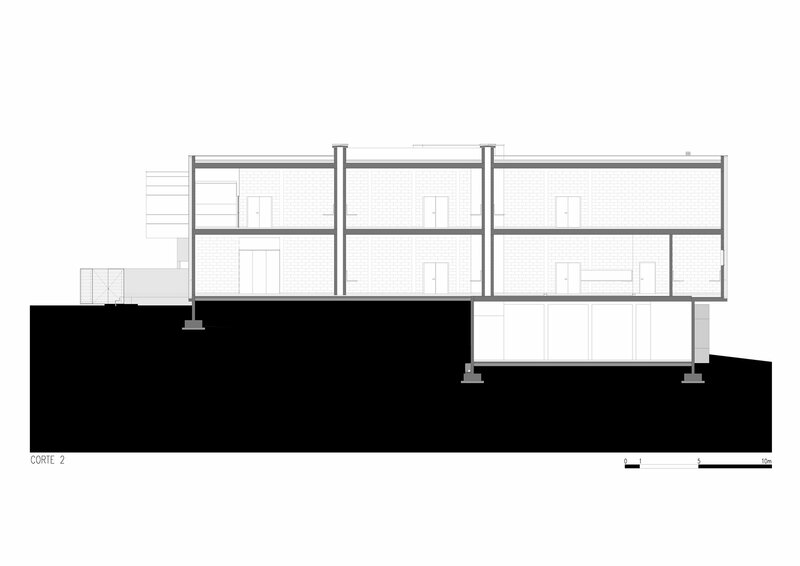 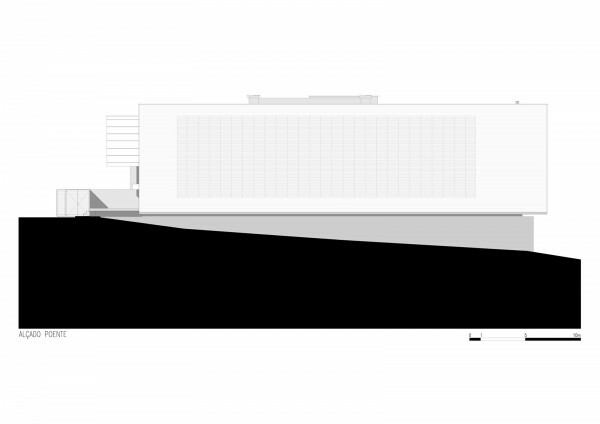 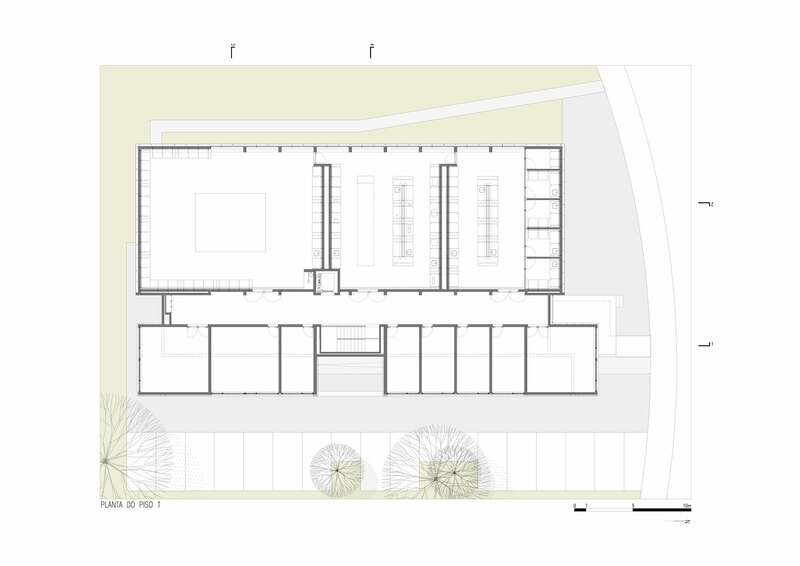 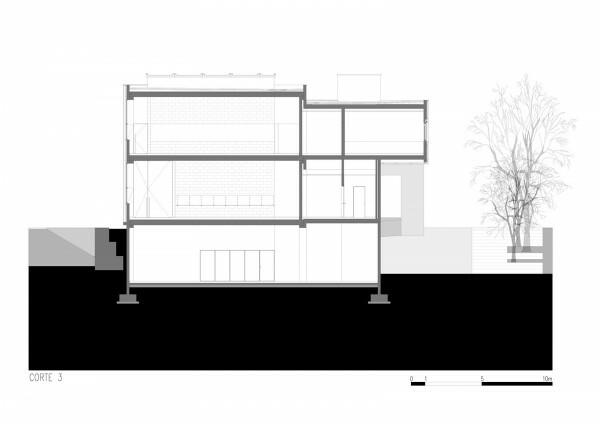 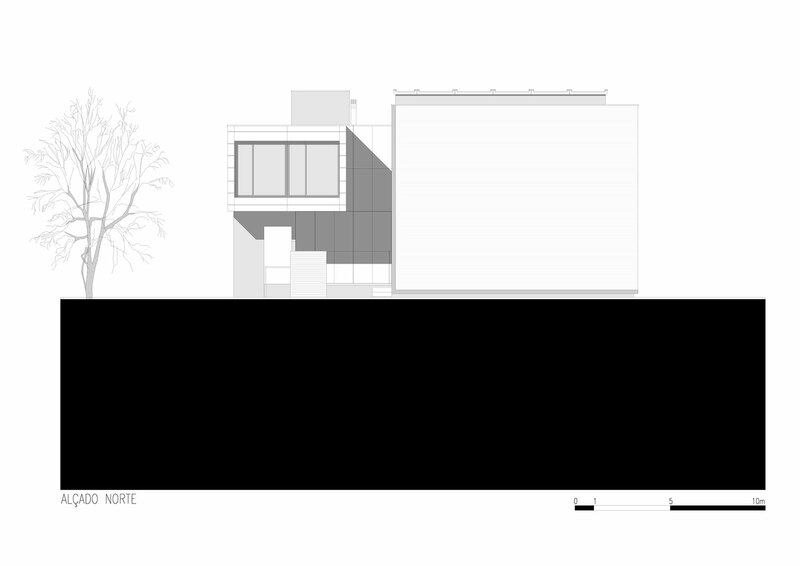 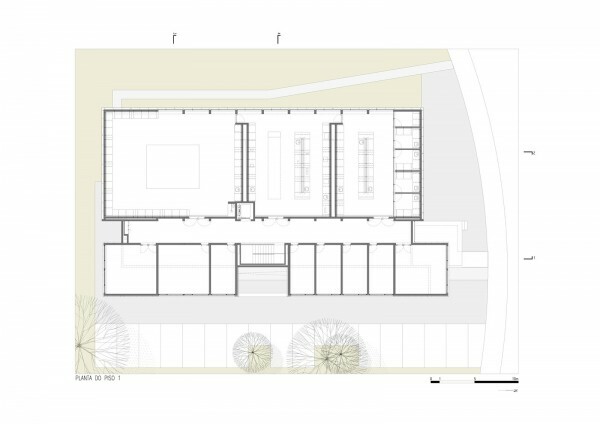 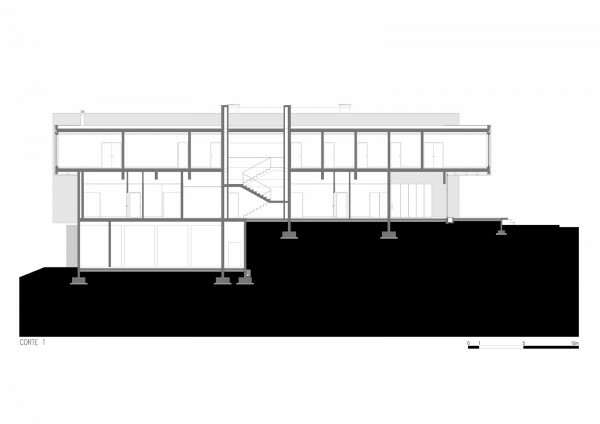 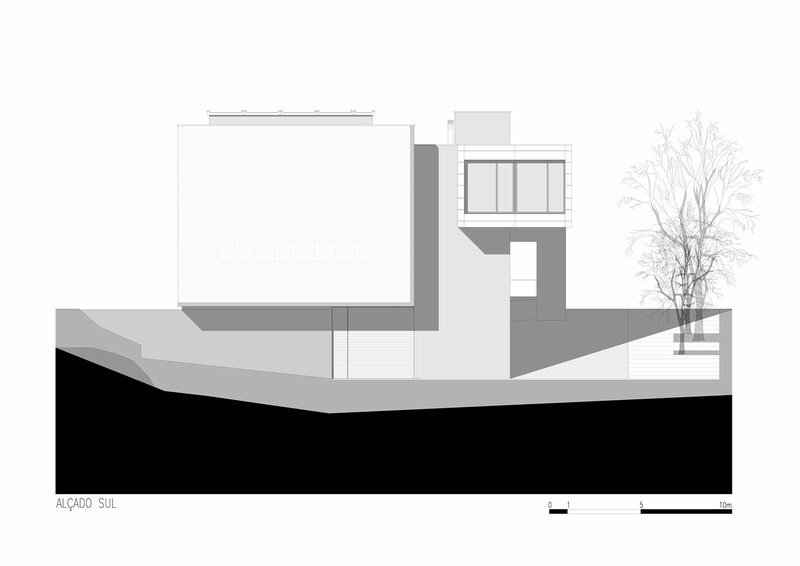 Therefore the perception will be of a building with a monolithic volume (the laboratories), apparently without openings, which partially rests on concrete walls and to which is added a suspended wall, black in colour.